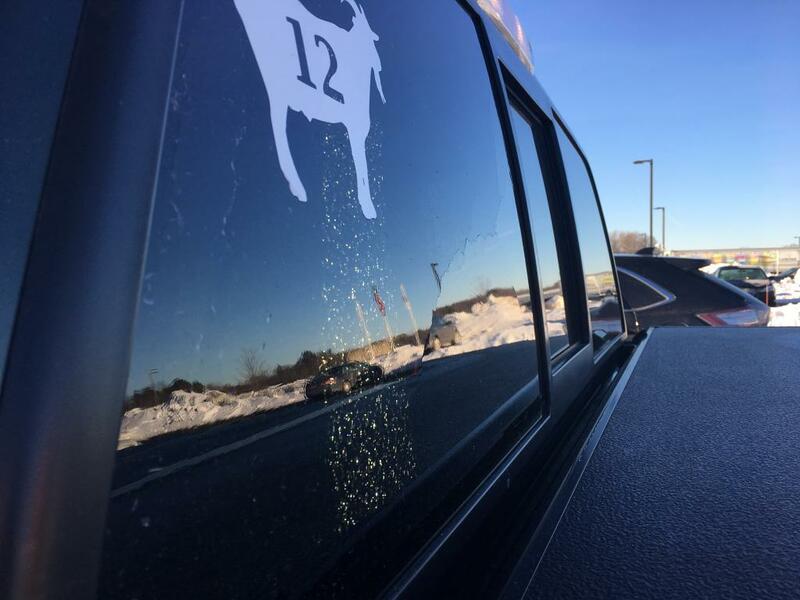 No one has added a helpful site for this 2014 F-150 problem yet. Be the first! January 8, 2019, I backed F150 out the garage, set there about 2 minutes and turn on by rear defroster to back out the driveway. I heard a loud noise that sounded like a gun shot. I get out to inspected the vehicle for flat tires. I check my wife car also ( 2018 Ford Explore) to find nothing. It was dark, so I drove to work. Inspect my F150 again and see that the driver side rear window was shatter. This is a defect in the rear defroster and they must initiate a recall on this problem. Please call NHTSA at 1-888-327-4286 to report this problem. This is the only way they can make a recall on this matter. December 10, 2018, used remote start to warm up 2014 F150. Was 46 degrees F outside. Warmed up for about 7 minutes, then drove off. About 30 seconds into the drive, a loud bang (like a gunshot), scared the heck out of me, almost crashed. Determined that the rear driver's side window exploded. Looked up on various forums, and there are a LOT of the same windows exploding, yet Ford says it is not a known issue--it is MOST DEFINITELY an issue. Local Ford dealer told me it was NOT covered under any type of warranty, even if I had less miles. Was quoted "about $1200.00" to replace by Dana the female service writer. She also told me that Safelite Glass might be able to replace it for less. There was nothing that the Walnut Creek, CA Ford dealer wanted to help me with. Then I "chatted online" (so I have a written account) with Ford Corporate. Again, I was told that Ford would not cover the replacement cost, that I was on my own. Lacy, the Ford person I chatted with said that she "logged" the issue and would contact me if there was a change in the status of my "claim". 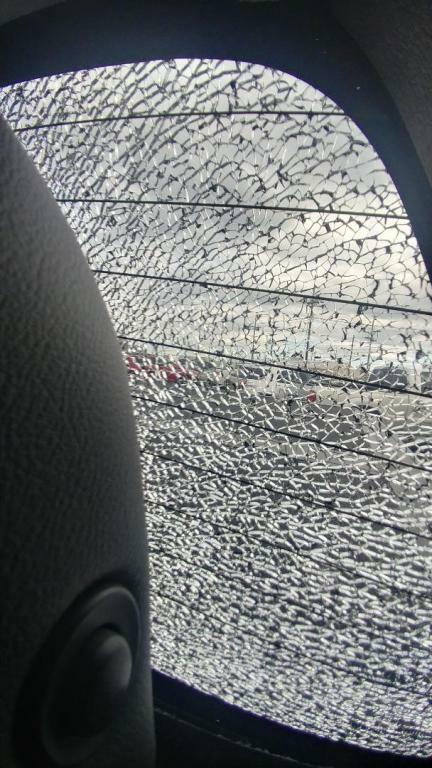 I have a Leer shell/topper in place, so there was nothing that could have caused "impact" to shatter the window. Definitely a FAULTY defroster that Ford needs to address. Just sitting in my driveway letting the truck warm up and defrost (rear window defroster was on). It sounded like a gun shot. Come to find that the section of window on the drivers side just shattered. Thank God I wasn't driving on the highway because it scared the sh*t out of me. 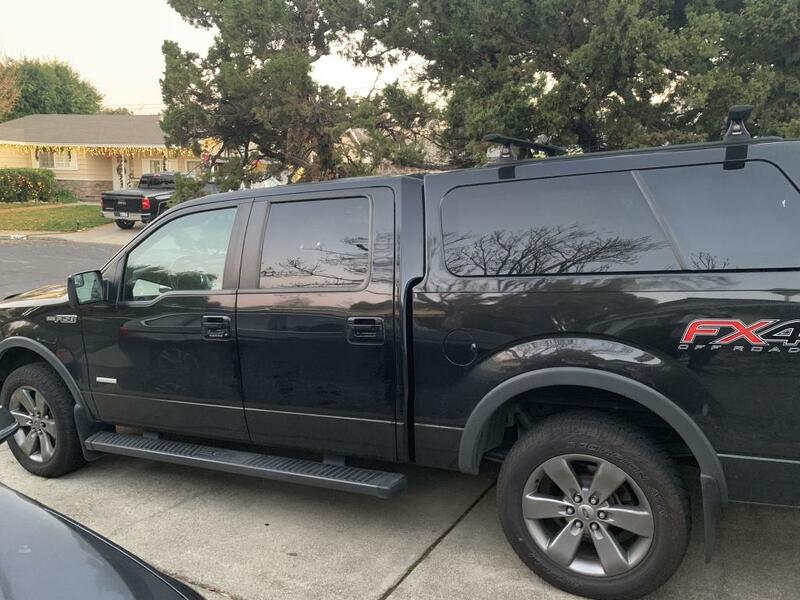 Even though it was covered by my extended warranty, it was still $100.00 out of my pocket.this Ecoboost truck was the worst financial decision that I have ever made! Just driving down the highway at 6am on 1/8/18, around 25 degrees out and I put on the rear defrost. I thought I rock hit my truck, and by the sounds of it, knew it would be a nice dent. Found no dent or any marks. Next day I left work and noticed the spider webbed window. In talks now with the dealership I bought it from to see what will need to be done to replace. They better replace it as this is clearly an issue. On Christmas morning around 11 am I remote started my truck from inside my home and 5 minutes later went into my truck as usual. I drove to the local Starbucks which is about not quite 2 kilometers away pulled into my parking spot and sat there for about 2 minutes and turned my ignition off and all of a sudden I heard a large sound of popping glass, the first thing i did was look at my windshield and then my sunroof glass then looked around and checked the side glass then noticed my rear panel of my rear window was completely shattered on the drivers side of my power sliding rear window.. I did have the defroster on at the time when I shut the key off. When I got out of my truck there were a couple of people that were walking by and heard the sound and they said 'what happened' and I told them that I did not know. 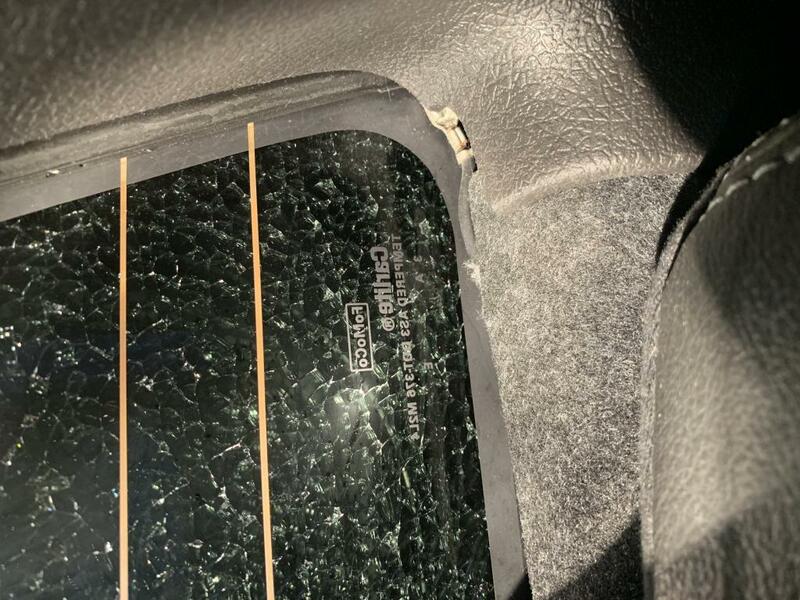 They told me that their neighbor had the same problem on his 2016 f150 .. so i read to see all of the complaints about this problem.. i am really shocked that ford has not issued any recall or some kind of help but most of all correct the problem with its glass manufacture Carlax corp. Cold morning turned on rear defroster, after 25 min loud bang like a gunshot. Rear drivers side panel shattered. Insurance covered full rear window replacement. Cold morning turned on rear defroster and rear window shattered. They are replacing it under warranty. 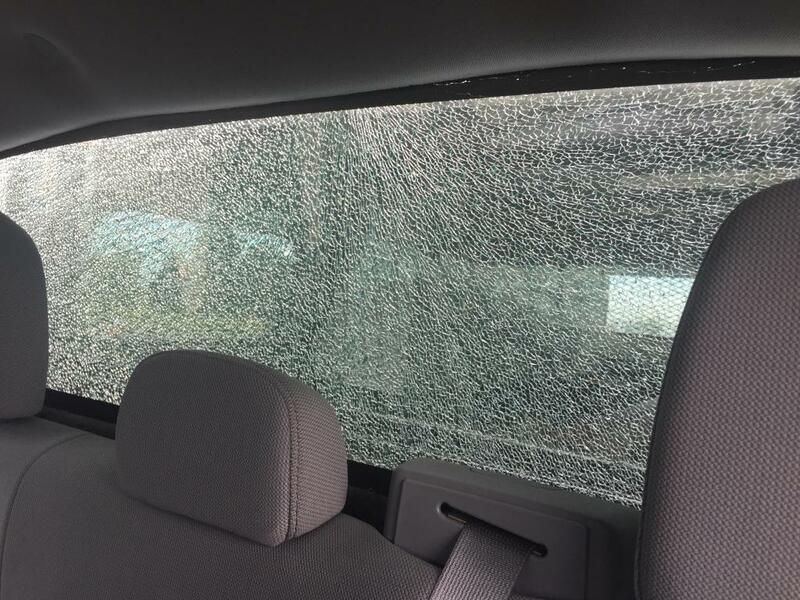 Driving down the freeway sounded like a gunshot. In fact I checked my legally carried firearm. 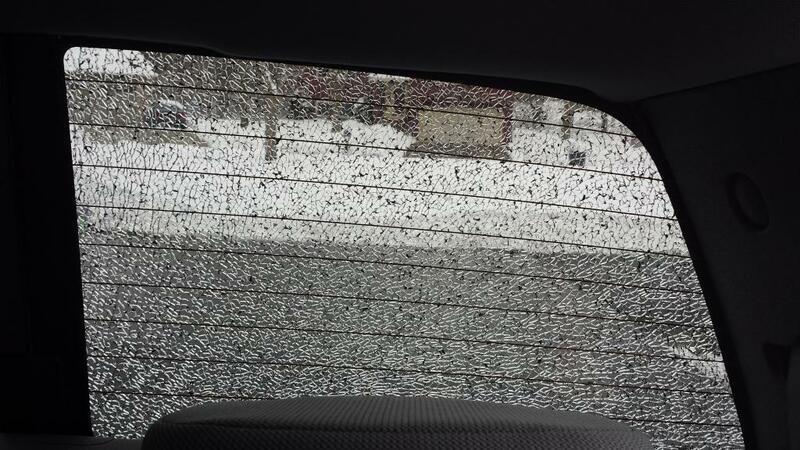 Back window exploded for no reason. I have a contractors topper on the bed so there is no way something hit my window. Good thing for full glass coverage! If they had a problem before, they should have done something about it! Cold weather, turned on defrost, slight torque to frame because driveway was unlevel. 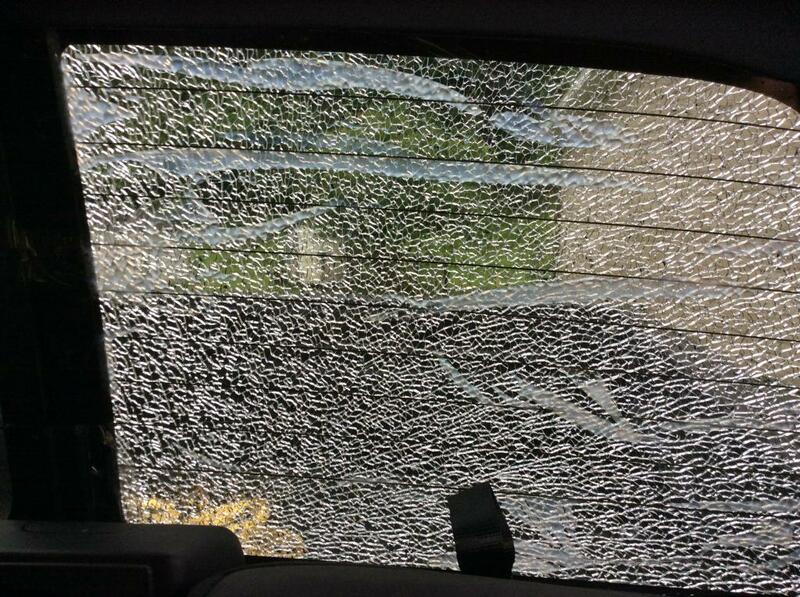 Driver's rear window exploded like a gun shot. Completely shattered on both sides. Early one morning I turned on the rear defrost and drove to work, it was dark and I thought I heard something that sounded like keys hitting the pavement when I got out but didn't see anything on the ground. I later thought back and realized the sound I heard was most likely the window shattering. After returning to my car later that day I noticed that the rear back window (drivers side) was shattered in place. There were no points of impact that indicate that it was hit by any objects (see picture) so I began to do some research and found out that this issue has plagued Ford trucks since 2010!! Well so you know, they still have not fixed it in the 2014 models, and refuse to take responsibility for the issue. When we brought it into our local dealership (where they had great customer service when we were buying the vehicle) they told us it was not their problem and that until Ford deems it is an issue we would need to be responsible for the fix...thanks Eric from Inver Grove Ford for not representing your customers with the company. 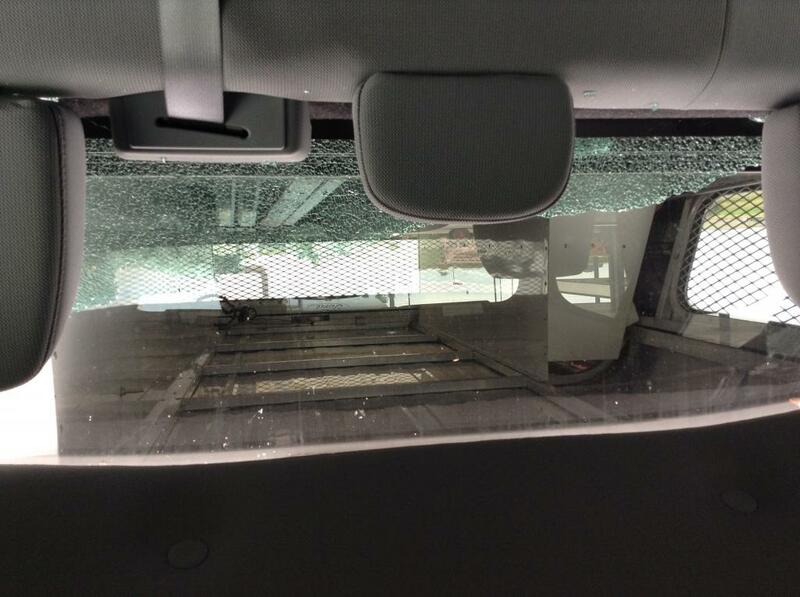 We ended up having to pay $1000 to replace the entire rear window in a truck that only has 6000 miles on it. How sad that Ford thinks so little of their customers that they will ignore a defect that has been happening for 4 years...it is because they do not have to cover the expense. 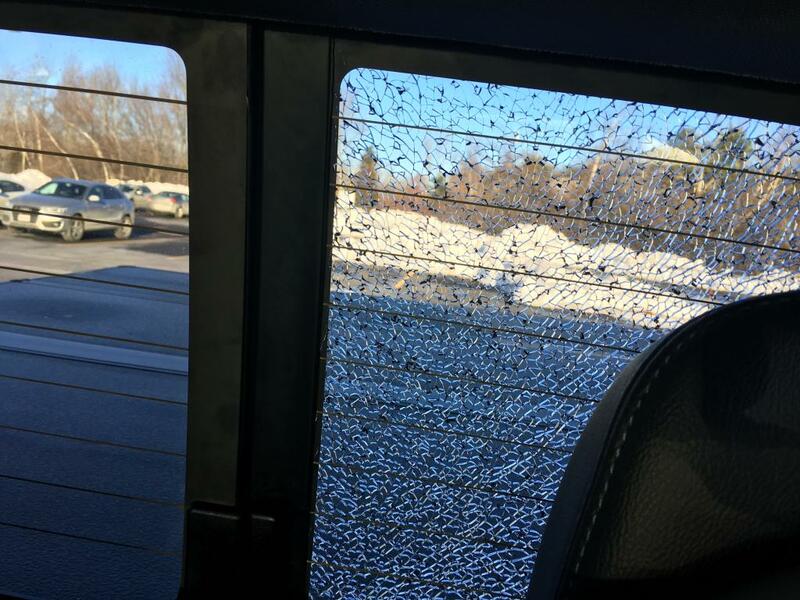 The auto glass repair place mentioned they see this quite often and will find when replacing the window that there is melting of the defrost unit because it is malfunctioning and causing this to happen. If anyone is looking to buy a new car I DO NOT recommend buying a Ford because once they cash your check you are on your own with defects and all.